Nevada's quality provider of debris disposal, recycling and salvage. 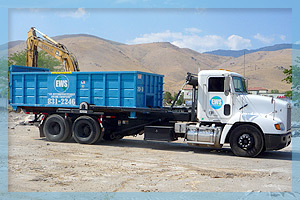 Empire Waste Systems is Northern Nevada's quality provider of debris disposal, recycling and salvage. Servicing the communities of Reno, Sparks, Carson City, Dayton, Incline Village, Washoe County, Lyon County, and Douglas County. Contractors, Developers, and individual homeowners alike, have consistently made the choice to utilize our services while at the same time reinvesting in the local community. No job is too big or too small from residential junk removal and construction debris management to local and state agency projects. Our straightforward fixed pricing without any hidden fees or surcharges helps to keep projects focused and on budget. We are a family owned, Nevada based business with offices in Mound House and Incline Village that takes pride in our unparalleled service, economical pricing, and good old fashioned values. As an environmentally aware company, Empire Waste Systems understands that the future of our planet and the quality of life for future generations depends on all of our collective efforts. Our forward thinking approach to environmental re-purposing is demonstrated throughout each aspect of our operations from construction debris removal, metal, concrete and wood recycling to our salvage services. With specialized regional logistics, expertise and equipment, Empire Waste Systems will utilize all of its assets and continue to lead the way in the processing and diversion of the waste stream from our landfills and communities that we live. 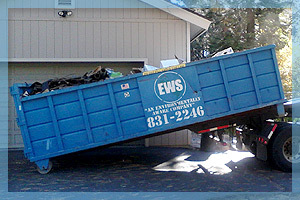 Empire Waste Systems is fully licensed, bonded and insured. Yard Debris and Branches | Pine Needles and Cones | Pallets | Shrub and Brush | Milled Lumber and More!